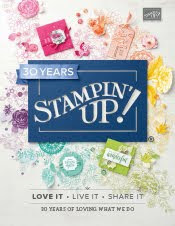 Just Julie B's Stampin' Space: #imbringingbirthdaysback Fancy Folds Cards & Treat Box! #imbringingbirthdaysback Fancy Folds Cards & Treat Box! This cute project was made by Christy Fulk and it's the Bonus Project fro the month of April over at Craft Project Central. Bonus projects can be obtained by subscribing to two or more months in a row, putting the Craft Project Central badge on your blog, or by referring a friend and when you subscribe, and letting us know.